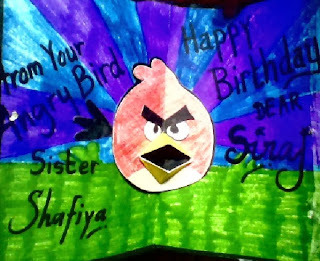 I've never even played Angry Birds, but I thought of this card when I was half asleep this morning and had to make it. The pop up mechanism is a double V fold (also called a mouth fold). 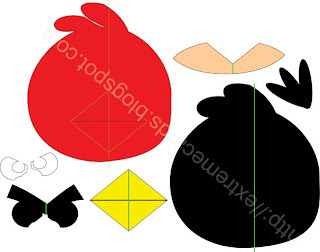 Download PDF and use as a pattern to cut out pieces. 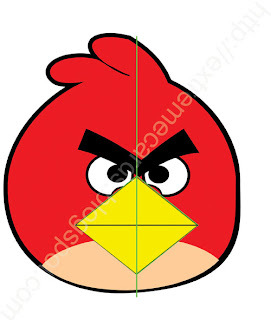 Score and crease all pieces as indicated by green lines. Glue whites to black eye background. 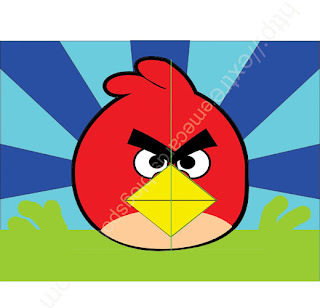 Pop each beak half of the red piece forward by pushing with your finger from the back and creasing on the score lines. Review how to make a v fold if you don't know how to do this. Line up and glue yellow beak parts to the red beaks. Glue beige chest piece under beak. Glue eyes to red piece, matching center folds, above the diagonal crease lines of the beak. Glue red piece to large black piece, lining up center creases. Position tail piece sticking out on the left hand side of the bird and glue. 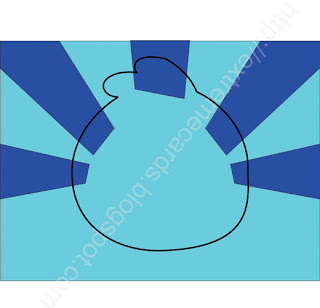 Make a base card. I used an 8.5" x 6.5" piece of light blue card stock, folded in half. Referring to finished card, cut dark blue stripes and glue on. Cut grass pieces freehand and glue on as desired. 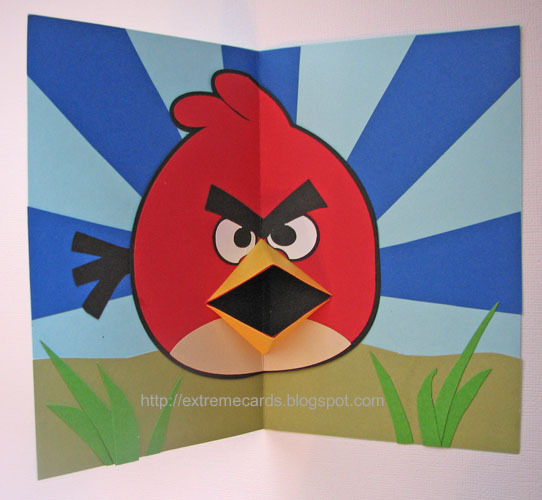 Glue bird into card, lining up center folds. This one was send in by Shafiya.